Career Consultants LLC is a specialized search firm providing employment, recruiting and consulting services to the Financial Services and Engineering Industries nationally. Our Financial Services client list includes Investment Banks, Trust Administrators, Hedge Funds, Broker Dealers, RIA's, Asset Management, Banks, etc. Our Engineering clients are listed in ENRs Top 10 Lists year after year and work in the areas of Transportation, Infrastructure, Environmental, Water/Waste Water, Oil/Gas, Power, Building, Chemical, Mining, etc. Susie Yager has over 15 years of recruiting experience specializing in the areas of the Financial Services and Engineering industries. Part of her success comes from having worked directly in, and having strong business relationships within these industries. 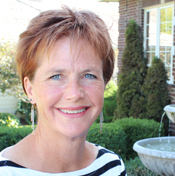 Susie has held positions in Operations, Client Services and Human Resources. The diversity of the people with which she works has allowed her to recruit candidates from all areas and with a variety of backgrounds. She has successfully built lasting relationships with her clients and candidates. Susie is a past President of the local chapter of BNI. She gives back to the community as a regular presenter for the Catholic Charities Microbusiness program. She is also a regular volunteer blood donor for the American Red Cross and contributes to various shelters in her area. 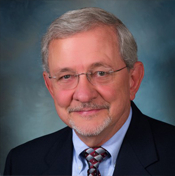 Gordon Yager has over 30 years of Sales, Marketing and IT Consulting Management experience. His positions included head of Sales & Marketing for an international manufacturing firm and as Managing Partner for an international IT consulting organization. Through Gordon’s varied background he has been able to use his extensive training and experience in implementing Targeted Selection recruiting techniques. Gordon is a past Chairman of SCORE, providing consulting services to individuals starting up businesses. He is currently providing his extensive sales and marketing expertise to Ted E. Bear Hollow, a local non-profit that provides free grief support to children, teens, adults and families.